Developing a Pong knockoff might sound like a piece of cake to you and your 2D design skills. But pop that into a third dimension, and all of a sudden we’re looking at some pretty complex stuff! 3D game design can be daunting, especially if you’re a beginner or planning an ambitious project. The good news is there’s never been a better time to attempt designing a 3D game. The internet is a treasure trove of great resources to help you along, no matter what programming platform you want to use. This guide focuses on Unity (because of its popularity in the industry) and includes Java and some other programming tools, too. 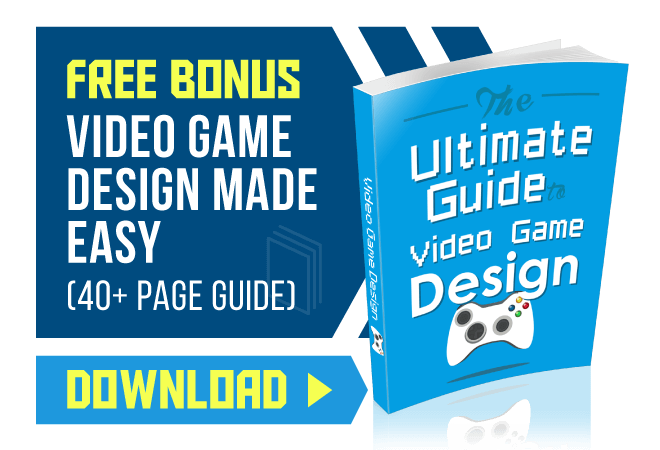 This guide will give you a handful of great starting points for designing your own 3D games. Take a look at the wares below. The title of this YouTube video really speaks for itself, but we’ll still describe it to you because we just want your life to be easy. True to its name, this tutorial is for beginners. 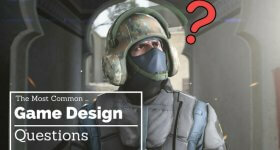 Whether you’ve just downloaded Unity and aren’t sure where to start, or you’ve spent some time with the game engine but you aren’t super clear on it, this tutorial series is a good place to go. The tutorials are put together by YouTuber Jimmy Vegas. Once you master the basics with his beginner tutorials, you can go on to his genre-specific game tutorials. A quick look at his YouTube page will show you a multi-part “How To Make An RPG” tutorial series and a “How to Make An FPS” tutorial series. Both tutorials take place in Unity 5, and are also tailored to beginners. He’s easy to listen to. His pacing is good. And he speaks clearly. If you end up digging his work, you can support him. He has a patreon, and he offers exclusive access to videos and content for those who donate. He doesn’t show you how to download Unity, but he does start his walkthrough from Unity’s “New Project” window. The video lengths fluctuate, with the first video clocking in around 20 minutes. For all you Java girls and Java boys out there, this YouTube series teaches you 3D game programming with–that’s right–Java. The series is put together by YouTuber theChernoProject. He recommends downloading eclipse–it’s not only his IDE of choice, it’s the IDE Notch used to design Minecraft. The complete tutorial series contains 39 videos. Some are short, lasting about 14 minutes. Other episodes can pass 45 minutes in length. He teaches you how to make a 3D java game from scratch, but he does assume you have some experience in Java. You don’t have to be able to write your own program, but you should be familiar with the programming tool. So, if that describes you, then go ahead and give this tutorial a shot! If you need to learn Java, you can check out our Guide to Java Tutorials and get up to speed. This here’s another tutorial for the Java fans out there. This YouTube video is for those of you with a bit more experience in Java. The tutorial relies on OpenGL 3.0 and above, as well as the lightweight java game library. According to the creator, he’ll teach you to create a “simple but very awesome game engine from scratch.” The series is put together by YouTuber ThinMatrix. The tutorial includes lessons on terrain generation, lighting, third-person camera, multiplayer support, multiple light sources, and more. If you’re looking for a series that clearly explains OpenGL programming, it doesn’t get much better than ThinMatrix. It’s a series that only gets better as it goes along. ThinMatrix offers more thorough explanations and includes the occasional, relevant diagram to keep you on track. Again, it’s not for beginners. But it’s a great resource for expanding your 3D game design potential after you spend some time learning Java. This game design course is offered by Youth Digital. It’s an online company that has put together courses with a younger audience in mind. 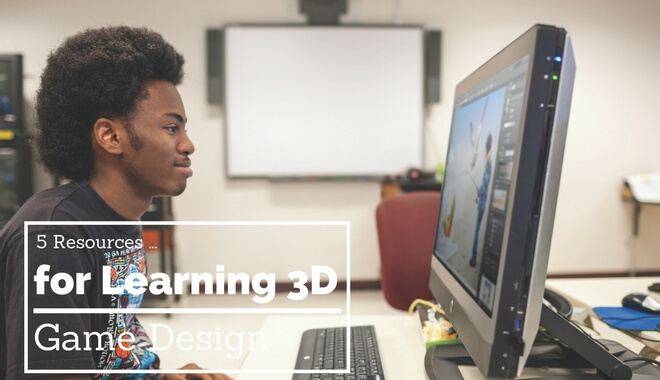 3D Game Design 1 is designed for a younger audience–ages 8 to 14. This course lets you design a game in the OWL game engine. As the title suggests, the courses focuses heavily on the concepts of game design. If you enroll, you can expect to build a full game over the span of the course. It’ll focus on designing the theme, layout and 3D environments for your game. It is a pay-to-use course. It currently costs $249.99, which gives you 12 months of access to the online content (boils down to about $21 per month, but there’s only an annual payment option). It’s self-paced, which is nice if you or your child has a busy schedule. But the flexibility only works if you can be diligent about actually doing the lessons. The price tag only gets you a year’s worth of access. Most online courses will offer lifetime access, so the 12 month cap comes across as a little stingy. You do get a 30 day money back guarantee (as long as you or your child has completed less than 4 modules). OWL is a bit simpler as far as tools go, making it a good tool for kids. It’ll let you build some nice-looking environments, too. Live teacher support is available, so any snags can be worked through with a professional. The course boasts 30 hours of elearning, and the teacher has the vibe of a 90s Nickelodeon TV show host. If you’re on the cusp of that 14 year old cut-off, Youth Digital also offers a 3D Game Development course. The development course teaches Unity, so you’ll do some coding in C#. If you’re younger but already familiar with Unity or coding, you, too, might be more interested in this class. It’s the same price, $249.99. You get full teacher support and 12 months’ worth of access. Both classes have the teacher support, and the website says “don’t think tech support, think mentor.” These same teachers review the final project, which could provide valuable feedback and a rewarding sense of closure to you or your child. The reviews are positive and the information is presented in an engaging way. With the money-back guarantee, it might be worth taking a month-long test drive. The course teaches you Unity, Maya, 3DSmax, Mudbox, c#, and Photoshop. You’ll learn how to develop for everything from Android to XBox. You will do some 2D programming in the course (along with 3D programming), but it’s worth it for the great deep-dive into game design.